Walt Disney Company Company Information Is this your company? Add your own content to this page. 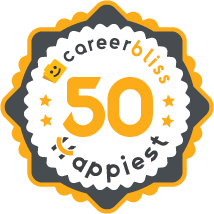 We've calculated that the average salary at Walt Disney Company is $61K based on 1,574 user-submitted salaries A total of 198 Walt Disney Company employees gave Walt Disney Company an average happiness rating of 4.0 out of 5.0. 32 Senior Financial Analysts from Walt Disney Company submitted salaries. 2.3 I started my accounting career there, however, that is as far as most people get. Management is terrible in fairly evaluating employees for annual performance reviews. Most of them don't care about your career unless you're kissing a-- or making theirs look better. If you're not, then you are just another number to them and a cost to their bonus/budget. So you'll usually get an average rating of 3 (aka On Track). The corporate culture is terrible in Finance/Accounting, there is too much appearance and political BS you have to weave through just to get your job done and even if you outperform other co-workers, it doesn't matter unless you become some manager's or director's pet so they can promote you. Half of the promotions are handed down, because you're someone's friend/family member, favorite brainless pet, are perky, or you just talk too much nonsense and a manager believes it. The ones who work really hard are given a decent raise but typically wait years to see a promotion as opposed to those who just come in with some kind of leverage (unrelated to work performance or business ethics) and demand a promotion. Business Operations Department (Bus Ops) has a terrible culture of oppressing and intimidating the employees, especially hourly role workers, about not making a fuss, keeping unethical managerial methods silent, and not standing up or voicing concerns to higher levels of management. Revenue Operation managers are the same, and they have a terribly low morale among employees, some of it due to because of the same manager who is still there to this present day (2/25/15). I'd remind them to interview carefully and ask the right questions, or look around them to promote from within. Hire hard working people with a true work ethic and good people skills. Make sure management is put in place who knows how to MANAGE and knows how to gain the trust and respect of the people. Teamwork can help a company soar. The lack of teamwork and integrity can make a company sink. I think it is great that management takes risks into new entertainment venues to remain fresh and relevant to consumers. The mobile division was one such venture, and elements of this failed effort are still occurring in the company with other Disney divisions getting into mobile marketing and entertainment applications. Keep up the good work taking strategic and calculated risks in offering your guests new ways to experience the great entertainment The Walt Disney Company has to offer. Disney is the most profitable media conglomerate in the world. When the company was established it prided itself on being the leader in the animation industry. They then diversified to live-action filming, television, and travel. • The Walt Disney Studios – this includes the company’s film, recording label, and theatrical divisions. • Parks and Resorts – this division features the company’s theme parks, cruise line, and any other travel-related assets. They own Disney Land in Anaheim, California and Disney World, which is located in Orlando, Florida. Disney World is the widest known theme park across the entire world. • Consumer Products – this division includes producing toys, clothing, and other merchandising using the Disney brand name. • Media Networks- this includes Disney’s television and internet options. Disney owns the rights to ABC Television Group and ESPN. The success of Disney relies on the passion of its employees. For this reason, it is very necessary to make the workers have a rewarding experience. In 2010, Disney won first place, achieving a rating of 100% on the Corporate Equality Index and Best Places to Work Survey. Similarly, the company was also named the world’s most admired entertainment company, according to Fortune. Other awards given to Disney are being ranked #11 on BusinessWeek’s best internship opportunities list and #20 on Fast Company’s top 50 most innovative companies list, just to name a few. Their job openings span across all industries imaginable, providing great career paths for many diverse backgrounds. Some departments they work in include accounting, animation, banking, broadcast, communications, digital media, engineering, fashion, gaming, HR, marketing, medical, park operations, publishing, QA, research & development, sales, sciences, business development, technology, theatre, and travel. Check out Disney jobs on our jobs page!